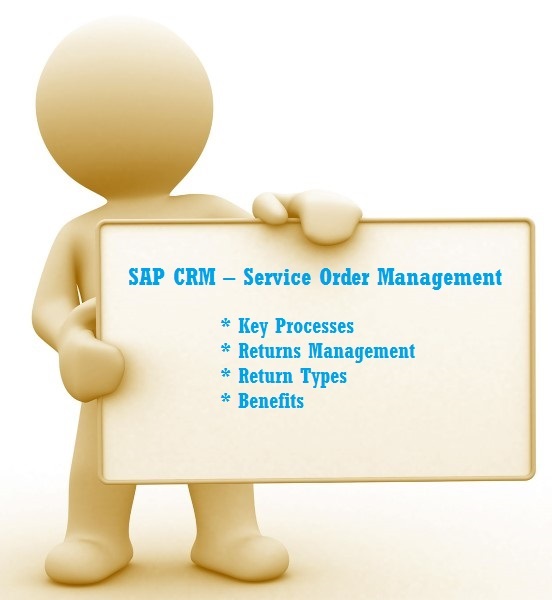 Service Order Management is there in place in SAP CRM for facilitating the delivery of service parts to customers. For a defined service, you can always use service order quotation for quoting a price and this can later be transferred to service order for the customer’s approval. Date settings can be defined in Service Order Management for customizing Customer Relationship Management. For this, you need to go to ‘Basic Functions’ and select ‘Date Management’ there. Using SAP ERP for the creation of billing document and then sending the invoice to customers. However, this process is applicable only for the existing customers of SAP ERP SD. A customer can always use ‘Returns’ against the received goods. In this regard, the customer can also use the ‘Returns’ service for returning a service part. ‘Complaints’, on the other hand, can be used in both sales and service. Complaints are generally raised against deliveries, returns, billing, and in-house repair that the customer is not satisfied with. In the standard system, item categories as well as transactions are predefined for complaints. For example, it is REN for Return Request, L2N for Debit Memo Request, COMP for Complaint, TANN for Free of Charge Substitute Delivery, and G2N for Credit Memo Request. Standard returns – This type of returns is usually initiated when a customer after placing an order for many items decides to return a few of them because of changes in color, sizes, etc. As the items returned by the customer do not have any manufacturing defects in them, a complaint is not raised. Instead, only a return request is placed. Recall returns – This return request can be generated against manufacturing defects. Surplus returns – These are initiated by vendors as their expectations of selling parts with customers didn’t go as per the original plan. Rapid returns – When a return is initiated against an item that has been marked as non-returnable, the request falls under Rapid returns category. SPL-requested returns – These return types can vary from one category to another.